WILLEMSTAD - The National Advisory Council wants to see certain adjustments at the Central Bank of Curaçao and Sint Maarten (CBCS). 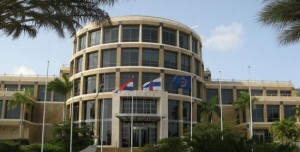 According to the Council, the bank has not been an independent administrative body since the political dismantling of the Netherlands Antilles. The Council would like to see a balance between the independent actions of the Bank and the democratic control of the Bank. The Council considers that the Minister of Finance must be able to take provisions on legislative and administrative measures taken by the Bank. They also want the Statute to be adjusted so that important meetings are public. Meetings which decide on general binding rules.